As ESPN feels the effects of cord cutting, the sports giant is looking to launch more streaming services with more partners. According to Variety, negotiations are underway with Dish Network and other companies about “creating other multi-stream products,” ESPN President and Co-Chairman John Skipper said during Recode’s Code Media conference on Wednesday. ESPN already works with Dish on Sling TV, a $20 per month bundle of streaming channels that includes ESPN and ESPN2 in its core lineup. Variety speculates that a premium version of Sling TV could be in the works, supporting more than one stream at a time. Sling TV CEO Roger Lynch said last month the company is exploring a multiple stream option. Why this matters: ESPN has been hit hard by the move away from bloated cable bundles, having lost 7 million subscribers over the last two years. 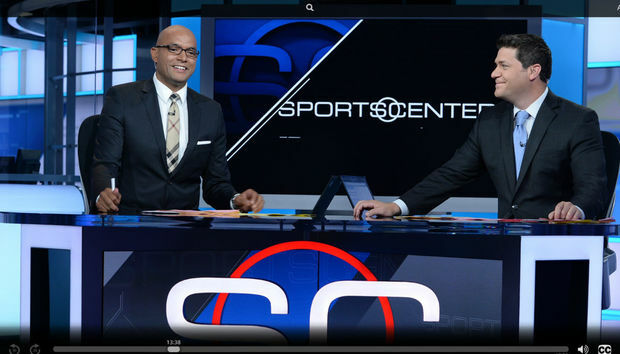 Although cable companies saw a slight uptick in TV subscribers last year, it’s likely that many are taking up smaller packages that don’t include ESPN—a point that Skipper acknowledged on Wednesday. Even if ESPN doesn’t abandon bundles entirely, bringing the channel to smaller, cheaper packages would be a great news for people who are paying too much for cable.